Ubisoft unveiled their new title, Tom Clancy’s The Division, at E3 2013 in June which was met with positive response from the gaming world. The game which is an open world online role playing game is set in New York City which has now been devastated from a viral outbreak during a black Friday sale. Coming to Microsoft Windows, PlayStation 4 and Xbox One the game, like many other titles, was expected to arrive later this year but following its habits, Ubisoft delayed The Division back into 2015. 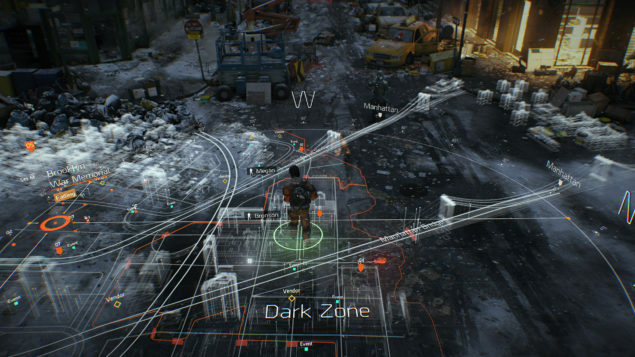 Unless you have been living under a rock, you would already know what Tom Clancy’s The Division is all about. This third-person tactical shooter action role-playing video game is said to be inspired by Operation Dark Winter and Directive 51, the real-world events which, when occurred, uncovered the fragility of human race. The story of the game begins with a disease that spreads across the United States entirely on Black Friday and causes the society to collapse within five days. For protection of the remaining civilians, a strategic group is brought into existence and is given the duty to combat the treat brought about by the outbreak. The player is part of this group, which is called “Strategic Homeland Division (SHD)”, or “The Division.” The group works under the authority of the President of the United States and is tasked to do whatever it takes to “save what remains.” Tom Clancy’s The Division puts you against the AI and other players in a world that is similar to a massive multiplayer online environments. Today at its E3 2014 press conference, Ubisoft took an ample amount of time to show off its upcoming strategic shooter. Going thorough whole story of the game once again, the developer passed it on to the cinematic trailer shared below to show us all how it all begun in the game, how the pandemic spread in New York City and resulted in an immediate shut down. Enjoy the trailer.